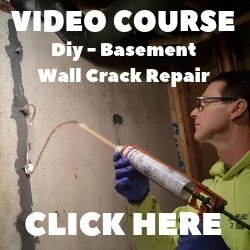 Epoxy Concrete Sealer - What Are The Best Uses For Epoxy Concrete Sealers? Epoxy concrete sealer can be used for a lot of different applications. But what are the best places to use epoxy sealers versus other concrete sealers and why? I'll answer those questions for you so you can choose the right sealer for your situation. Epoxy sealers produce a very hard, long lasting, abrasion resistant finish. They adhere very well to concrete and cement based overlay applications. They come clear, or if you desire color, a pigment can be added. Epoxies do have a tendency to yellow when exposed to UV rays (sunlight) so they are generally limited to interior applications. Epoxy concrete floor sealers are somewhat moisture intolerant, some of them are impermeable and don't let the concrete breathe as well as an acrylic sealer does. What this means is the surface and the concrete have to be completely dry and free of any moisture vapor transmission or you could have some blistering or bubbles form afterwards. Epoxies are an excellent sealer for repelling water. Some of the best places to use epoxy concrete sealers are concrete countertops, food processing areas, high foot traffic areas, interior stained concrete, and concrete overlays. For a decorative interior floor, a high build epoxy sealer with good resistance to scuffs and staining would generally provide the best protection and be easier to maintain. Softer acrylic sealers usually require regular maintenance with several coats of floor finish or wax to prevent wear and black heel marks. Most epoxy sealers are two separate components you mix together. 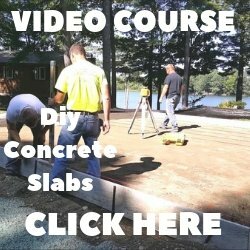 After you mix them together you can roll it on the surface of your concrete. It will dry fairly quickly in the mixing bucket once both components are mixed together. The pot life is usually between 15 - 30 minutes. 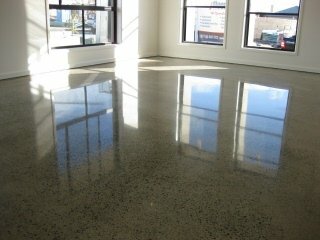 With an epoxy concrete sealer you can achieve a mid level sheen or a high gloss look to the concrete it's applied to. 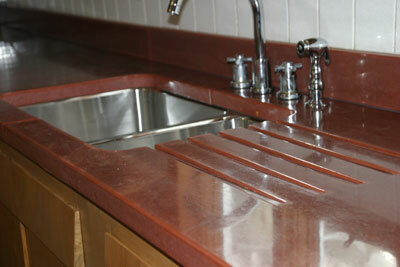 A high gloss epoxy sealer looks great on countertops and interior colored concrete floors. If your garage floor has a vapor barrier under the concrete and it's not exposed to direct sunlight all day, then an epoxy concrete floor sealer would work just fine. You might want to add a slip-resistant additive into the sealer because it can be slippery when it gets wet. An acrylic sealer would work best for concrete driveways or a stamped concrete patio where they are exposed to a lot of moisture and sunlight. Acrylic sealers let the concrete breathe and they also come in different sheen levels. Acrylics are softer than epoxies and would require more maintenance for interior high use traffic areas. If you are set on using an epoxy concrete sealer there are some manufactures like Vexcon Chemicals, Inc. that make a single component, breathable epoxy sealer. This sealer is high gloss, low oder, water based, and allows moisture to pass through rather than becoming trapped. Concrete moisture problems can lead to sealer blisters and bubbles. Avoiding moisture and sealing concrete when it's completely dry is critical to the success of the sealer. Click on those links to learn more about what moisture can do to concrete sealers. Click on CONCRETE SEALER to learn more about the different kinds of sealers and what to use them for. Click on GARAGE FLOOR COATINGS to learn more about the different kinds of epoxy floor paints to use.